Risk proximity is an important concept. In simple terms it just describes the time from an event happening and the risk potentially occuring. It’s not something that we often think about in the emergency department, but it’s important and influences our decision making processes. 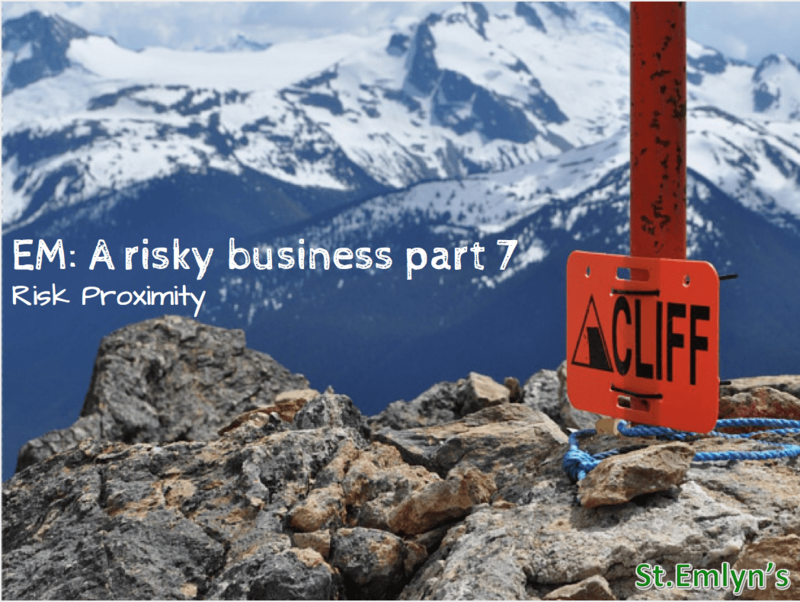 In this post we start to delve into why risk proximity may make some of our ED decisions a little less rational than we might hope. Let’s think of a few examples. Little Jimmy is an 8 year old boy who has been hit by a car. The description from the scene is that the car was moving slowly, maybe 10-15mph and that Jimmy was ‘clipped’ rather than fell onto the curb. He was not knocked out, has no external head injury and although he vomited soon afterwards and had a sleep in the car on the way in to hospital he does not meet criteria for a head CT. You reassure the parents that no further imaging is required and suggest that he just needs observation at home. They look at you oddly and ask what the CT scan shows. You realise that a colleague ordered a head CT from triage. After a rather embarrassing conversation with the parents about the normal CT you ask why it was requested. Your colleague tells you that last week the department sent home a patient who then returned a week later with a skull fracture on CT. Apparently an incident form was submitted and it’s all being investigated. Both these examples are arguably violations of routine practice but I’ll bet a fine English pound that we’ve all experienced similar episodes. There are of course many reasons why this might happen, ignorance, error, bad medicine or laziness but another factor that I see in the ED relates to perceptions around risk proximity. Risk proximity simply means how close we are, in terms of time, to a risk occurring. In project management this is used to ensure that focus on risks is balanced with a greater emphasis on those risks that are likely to occur in the short term. 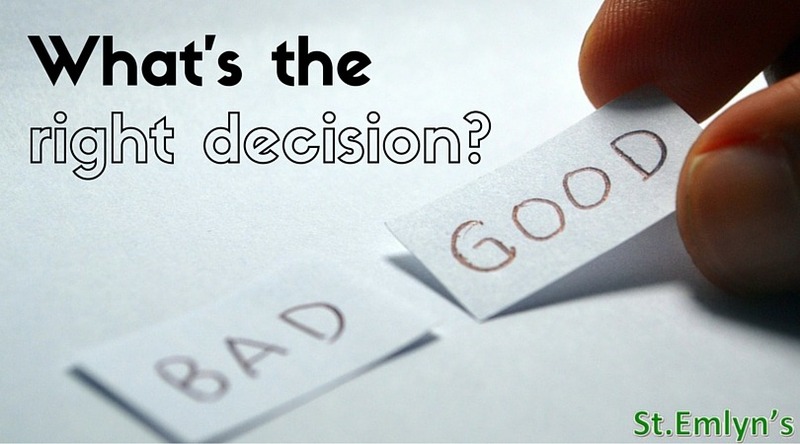 In medical decision making we see similar behaviours with a focus on those risks that are likely to occur sooner rather than later, but before we explore that further it’s worth stopping and thinking about who’s risks we are managing..
Who is really at risk when we make a decision in the ED? Obviously it’s the patient. In the examples given above the first patient may have a PE, the second might have a significant head injury. These risks are low but they are not zero and so the patient is at risk if they do not get an investigation. However, whilst we might frame the risk in terms of the patient, it is not the patient who typically makes the decision. It’s the clinician who decides whether to proceed with a test and their decision is also influenced by a personal risk. As a thought experiment we can consider Dr A who always sends blood tests, gets X-rays for everyone, and if a CT might be indicated he orders it. If you’ve got a sore throat then have some antibiotics, bit of a cough then more antibiotics, and if you have some pain this Codeine should sort you out perfectly. Is Dr A a great clinician? Well no, if you’ve read the rest of this series then you will know that there are major harms associated with overinvestigation. The paradox is that Dr A may appear to be a great clinician and his patients may love him. If we assume that there are good mechanisms for reading those X-rays then no injuries will be missed and no patient will return after a week with a quinsy or pneumonia, complaining that they were not given antibiotics at an early stage of their illness. Dr A will have few complaints and a file full of thank you cards. Their practice will of course be expensive and much harm will come to their patients but that harm will be hidden from view. None of us wants to be Dr A, but let’s face it there are temptations. If you’ve ever missed a diagnosis, or rather when you become aware that you’ve missed a diagnosis, you will know that your behaviour and investigation thresholds change for the following days, months, even years. The bottom line is that overinvestigation protects the reputation of the clinician. In other words it’s much easier to get ‘pinged’ for failing to investigate than for over-ordering tests which are not really indicated. As a result the decision to order an investigation is determined by a combination of the risk to the patient (of having the disease) and the risk to the clinician (of missing an important diagnosis). Patients can be harmed through the diagnostic process in many different ways as other articles in this series have described. In terms of risk proximity, time has a significant impact in how we understand and perceive risk within the diagnostics process. In the short term there are clearly the risks of missing an important diagnosis. In the examples at the beginning of this post we might miss a PE with our patient returning within weeks suffering from a big PE or even death (although this is really unlikely). Similarly, missing a skull fracture or small intracranial haematoma in a child may be perceived as a terrible miss (with the blame squad arriving mob handed to find out who is to blame). 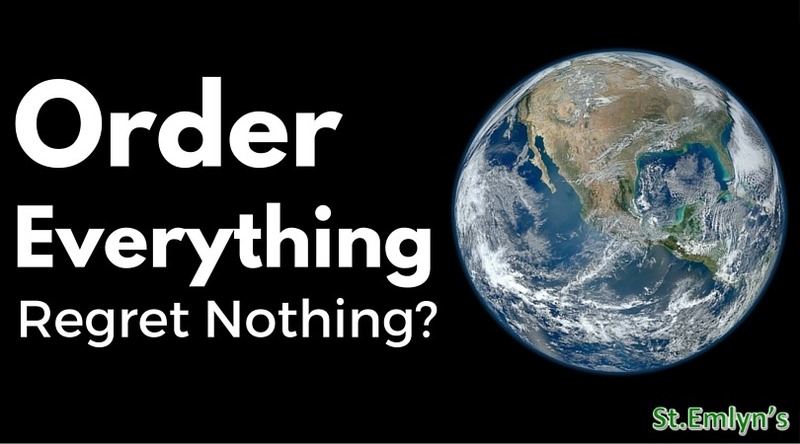 The other risks of overdiagnosis are rarely if ever linked by patient or clinician. If I decide to CT all children with head injuries from this day forth I will no doubt cause many cancers and cataracts in my patients. However, these complications will take place many years in the future. I will never see them and it’s highly unlikely that the patient will ever associate an unwarranted investigation with a future disease. Similarly overinvestigation can lead to an increasing number of false positives. In past posts we have discussed the problems of overdiagnosis in PE leading to an increased number of patients taking anticoagulants. If they then have a bleeding complication it almost impossible to link that complication back to the original poor decision to overinvestigate our ED patient. In managed health organisations, or where there is close oversight of clinical practice it may be possible to see trends between clinicians and departments, but in the UK where staff are often transient and junior it may be very difficult to see patterns in time to control them. So what does this all this mean for the ED clinician? It’s complex. Emergency medicine is a speciality where the conduct and understanding of the diagnostic process is at the very core of what we do. We need to understand how the concepts of risk proximity may affect our own judgement and the judgement of others. It should be a factor when we consider how to structure our diagnostic strategies (clinical decision support guidelines are an obvious solution which can be audited) and can aid us when we investigate critical incidents and our reactions to them. The bottom line is that risk is divided between clinician and patient. Risks are not always realised at the same time and many of the harms that can result from over-investigation (and subsequent unnecessary therapy) will not be temporally linked by either. It’s might be worth reflecting on this the next time you see an unnecessary test ordered in the ED. Risky Business Part 1 – You are not a diagnostician. Risky Business Part 2 – What does a test result really mean? Risky Business Part 3 – Is it acceptable to miss some diagnoses? Risky Business Part 4 – How many patients do we miss (and does it matter)? Risky Business Part 5 – Does a correct diagnosis mean that the therapy will work? Risky Business Part 6 – How many steps to disaster? Next: Next post: A St.Emlyn’s fascia iliaca block update. Variations in clinical decisions between experts is more related to their subjective tolerance of risk rather than their objective calculation of it. So if we give patients the freedom to consent to or decline interventions, who is it to say that we shouldn’t allow experienced clinicians to practise the way they want?